No man seems to be lesser settled at a new club in the Premier League than Alexis Sanchez for Manchester United. From a deal that took place almost a year ago, Jose Mourinho is still to get the best out of his no. 7. The Chilean international swapped clubs with Henrikh Mkhitaryan, and there is no denying the fact that Arsenal are the side that have had the better of it. 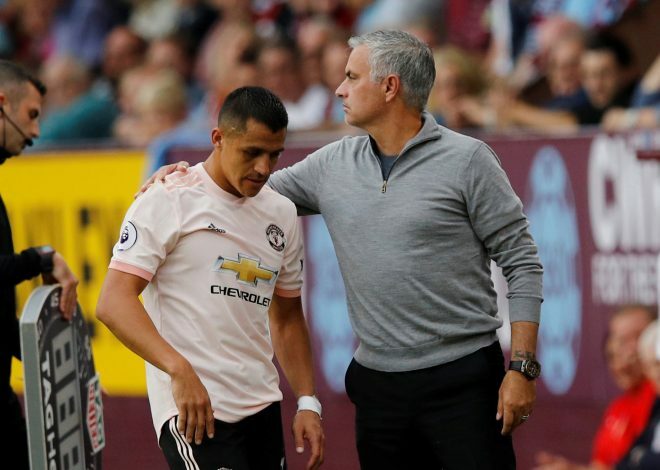 With Manchester United struggling in the middle of the table, Sanchez is not only fighting for game-time, but is also making minimal impact when the minutes do come his way. With only 4 goals in 29 appearances, the 29-year-old is now eagerly desperate to get his form back on track, and according to latest reports coming in from Spanish television show El Chiringuito, an exit from Old Trafford is the answer to that particular problem. Sanchez has been heavily linked with a move to PSG in the coming summer, but the dependency of Mbappe or Neymar heading elsewhere looms large. In the midst of a tough patch in his career, the forward has instructed his agent, Fernando Felicevich, to look for a new club as soon as possible. There is no hiding the fact that Sanchez is a man with top qualities, and such players generally do find a way to Real Madrid, a magnet for the best talent of the footballing world. With the Spanish giants struggling themselves, a January move is the priority, and given the circumstances on either end, it could very well be happening, the report adds.